What is a Crystal Reading? This reading is designed specifically around the healing and guiding messages received from stones and crystals that call out to me in response to your energy and your question or issue. I will suggest ways for you to work with these stones along with detailed information about their metaphysical and healing purposes emailed to you in pdf form. How is it done? I work to prepare myself energetically and physically through yoga, meditation and chakra balancing. I work with healing crystals and oracle cards of my own design in response to your questions. I request from Spirit an open heart and a clear channel to provide you with information that is only of the highest, deepest and most profound good for your soul. My style of reading is honest, down-to earth, and informative. About Long Distance Readings: My preferred mode of reading someone's soul-energy is via distance - this allows me to focus on you, your spirit and your guides in a focused way clear of distractions. Each reading involves preparations such as meditation and yoga to help me focus. I will often pull healing stones and a card(s) from one of my four self-designed and painted oracle card decks, but unlike a tarot reading I will not actually look at the card until after your reading is finished. The card imagery and description often serve to accentuate and emphasize certain points in your reading and along with the healing stones may also give you some more tools to work with on your own after the reading is over. *This reading was published with kind permission from Claudi. This reading is in response to your question: What I was hoping for was direction on what kind of crystal I could use for a pendant to wear all the time. But, I am open to whatever comes. I don't like to get to specific about what I WANT....I'd rather be open to what needs to be, is that alright? - During the first part of your reading I felt all kinds of distractions pulling at you! - I also felt the balancing, healing, strong, clear pull of Yellow Citrine (a Citrine point) along with Jade coming into your reading to help you out. I recommend holding the Citrine in your right hand and the Jade in your left hand. - Now we can splash and play! Citrine (yellow-gold) is reminding you to open yourself to guidance and to the Divine Will. Remember, you will manifest whatever it is that you hold foremost in your mind and energy. Are your words and actions consistent with what you want to create? Green Jade is an Earth element stone in all respects, promoting the flow of money, fertility, and abundance into one’s life. 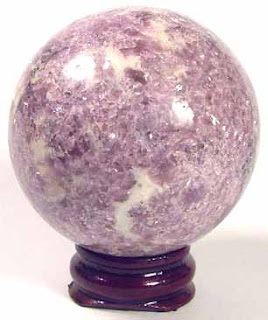 It represents harmony and happiness in business and family relationships and is an excellent stone to use in one’s office or home environment to promote harmonious energy. It reminds one to smell the flowers, touch someone you love, and share your abundant heart with others. Affirmation: I love life, and it flows through me in ever-greater abundance. - I also feel that working with Aqua Aura (just one piece of it) will be helpful for you! 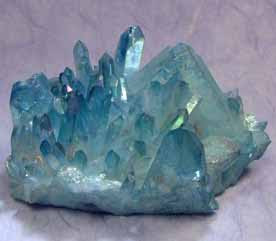 Aqua Aura Quartz calms the emotional body, allowing one to witness one’s various emotional states without being pulled into identifying with them. I also turn to my brand new Petrified Wood Sphere to gain more insight and I feel as though we step back in time to when you were just a child. I sense crying. You are feeling that you aren’t a kid anymore and that you have a lot to give – you want to help! You seem frustrated and I hear you thinking, “I’ll show them” (those nasty ol grownups!) So you decide that when you grow up you’ll be powerful. This may be where the first spark of metaphysical yearnings came to you. - You always had so much more to give and you long to be recognized and seen for who you really are. 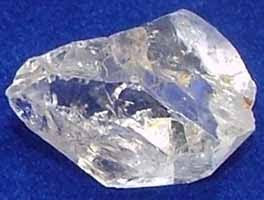 - I also suggest working with a Herkimer Diamond. Herkimer Diamonds are great to carry with you when you feel the need of an extra boost of energy. They will help to keep you happy! They are also helpful when used for dreaming purposes to initiate conscious out of the body experiences or to help you accurately recall your dreams. - I do sense that you are quite particular. 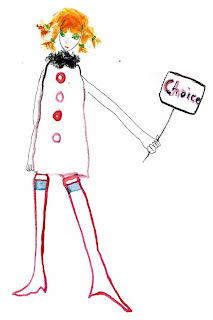 Now it’s time for a Soul Card for you so I pull a card from my Lefty Oracle deck and it is called “Choice”. It opens to the moonlight. It speaks to the Goddess. It allows your soul to speak. And your soul is guiding you. I also suggest working with an Amethyst Cluster (for your left hand) – it will help take you to purpley, silvery, faery-like places. – it will help you open up to your inner light, to release it, like a shock of bright yellow light. - This is a time of awakening for you. - Your eyes are wide open now – you are fully awake and present. Which stone for a pendant? I also pull a card for you to help with this question and it is called “Fairy in the Raw”. - I see a strange sort of yellow fish/bird swimming/flying towards you! I see you wearing a necklace with Aqua Aura, Amethyst and Herkimer Diamonds. This necklace will resonate with you on an Angelic level and help you with focus, clarity and Higher Purpose. You are the Goddess. 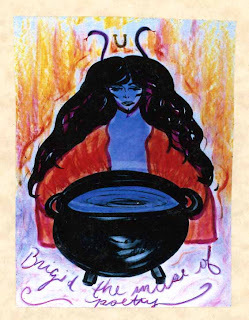 I pull a Goddess card for you and it is called “Brigid – Scorpio Goddess”. Brigid is one of the greatest of all Celtic goddesses. She is a divine feminine force, symbolized by the inspirational fire of creativity. Her name means “bright arrow,” or “the bright one” and no man was ever allowed within her sanctuary. Scorpio turns us inward and deepens our bravery, curiosity and focus. Scorpio Resources: emotional stamina and a taste for intensity. - You are the Goddess, secure in the knowing of your power. Blessed Be. I’m ending your reading by sending you sparkly blessings of clarity, strength and focus. I have been so distracted with many different things - I feel like a hummingbird that can't quite decide which flower to go to. There are too many of them and they all call to me at once. I realize that my mind is not settled and I am going to need to calm down and deal with each thing, one at a time, finish it then go on to the next one. It is something I get caught in sometimes. I think I will commit to a specific time for meditating and make sure all the distractions are put aside. Aqua Aura - This is actually the first time I have heard of this crystal. I have a need to work on not taking reactions personally in a certain aspect of my life. That has been a struggle. "As myself as a child" - There is a long road with that one. I understand exactly what the meaning of your references are. As far as being recognized and seen for who I really am.... sadly, that would not be happening within my childhood family. Within my own and extended family I believe that it is very possible. Am I particular? I would yes. But not snotty or high maintenance particular - at least I don't think so, (but don't mention it to my husband)! Thank you for reminding me about not being so self absorbed. I need to remember all that I have all the time. Hans? I have never met a Hans in this life. But the name does resonate with me, so I think it is in a past life. That would be interesting to find out. 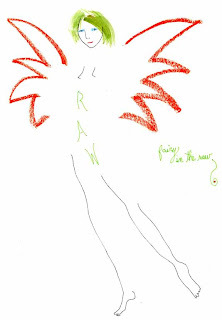 I love "Fairy in the Raw". I love natural things: raw crystals, raw soil waiting to be planted, and old, rustic bits of things attract me. All my furniture is old and weathered. I like being natural. The Lepidolite - " ....silvery, fairy-like places." That is right from my first soul reading. Those are my wonderful spirit guides (mercurial, quicksilver like guides and also my castle and the fairy princess from that reading). You have to love them for their tenacity. And I love the moonlight and the night. As odd as it sounds, I get depressed with too much sunlight. You will find me longing for nighttime or soft cloudy days. The strange sort of yellow fish/bird swimming/flying...I wonder if it could be something like the yellow butterflies that I see everywhere? I will be studying the Goddess Brigid from my books. I am looking forward to that. I have never really focused on one goddess. And, finally the crystals for my pendant. Won't they make a lovely one! All three are on the Kacha website by the way. I have sent them a request for a design with those three if their designer returns. Let's keep our fingers crossed and hope. How exciting! Thank you for this reading. It has been helpful in many ways. I would highly recommend it for anyone needing beneficial guidance. You are in my thoughts. You can order a Soul Reading by clicking the link.